Navy Lt. Cmdr. 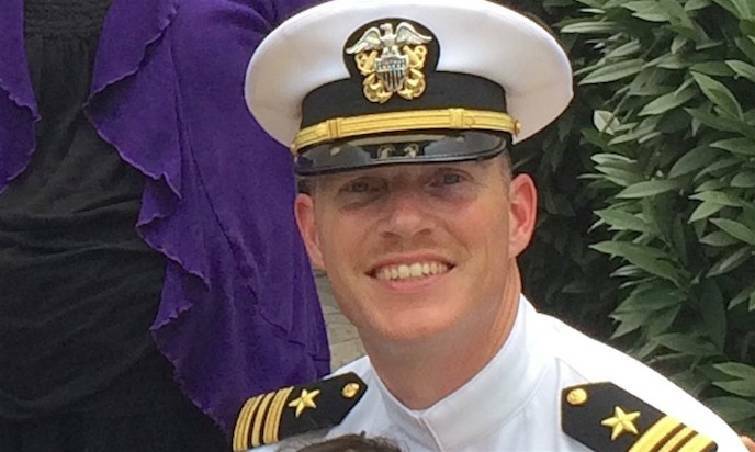 Tim White has not been charged for firing his personal weapon at a lone gunman during the July 16 attacks on two military sites in Chattanooga, according to the Navy, despite weekend rumors that White had been charged for his actions. White confirmed to the Times Free Press last week that he did open fire with a personal weapon on Mohammad Youssef Abdulazeez as the 24-year-old Hixson man attacked the U.S. Naval and Marine Reserve Center on Amnicola Highway. Currently, Department of Defense regulations prohibit most service members from being armed on U.S. soil, including most personnel at reserves and recruiting centers like the ones Abdulazeez targeted in Chattanooga. The idea that White will be charged for violating those regulations gained traction online on Saturday after former U.S. Rep. Allen West of Florida posted on his website that he had confirmed the Navy is planning to charge White. West did not name his source. The Navy denied that White has been charged in a statement on their official Facebook page on Saturday. The statement did not refute the claim that the Navy is planning to charge White. "There is still a long way to go in reviewing the facts of this tragic incident, but at this time we can confirm no service member has been charged with an offense," the statement read. The July 16 attack sparked a national debate about the Department of Defense regulations, with many politicians quickly calling for military members to be armed. The gunman, armed with an assault rifle and a handgun, killed four Marines and mortally wounded a Navy specialist. Gov. Bill Haslam says that although it's the U.S. Navy's call on whether to charge Lt. Cmdr. Tim White for using his own handgun to try to fend off the July assault in Chattanooga, the governor believes most Americans wouldn't "resent him for using his personal weapon." "Obviously, in a situation like that, ultimately it's the Navy's decision," Haslam said.